George Wolfe grew up in Dublin, Ohio and is a lifelong resident of central Ohio. 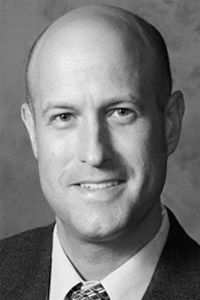 He graduated from Ohio State University in 1991 and Capital Law School in 1994, with numerous continuing education programs over the last 24 years. George has been a resident of Ohio for 50 years. George has worked as a respected Columbus Ohio lawyer for over 24 years, handling cases in over 30 counties in Ohio and several States. This experience translates to outstanding results for you. Mr. Wolfe has extensive experience in probate criminal, family, and real estate matters. He has represented over 2,000 clients in criminal, family, probate, and real estate matters. Attorney Wolfe is licensed in Ohio, Federal Courts, and the U.S. Supreme Court. He has also practiced Pro Hac Vice in Indiana and South Carolina. Attorney Wolfe prides himself on precise communication and zealous representation. Outside of work, Mr. Wolfe enjoys personal fitness, travel, cooking, reading, science, environment, electronics, and computers. In addition George is involved in the community, and helped start the Clintonville Area Chamber of Commerce.